Nobody likes to lose, especially elite athletes playing at world class competitions with medals on the line. 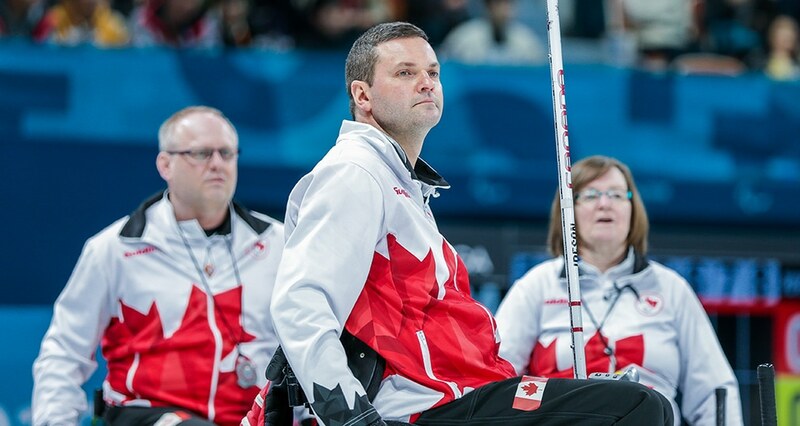 You could forgive Canadian skip Mark Ideson if he was angry, bitter, heartbroken or a bit crusty following a last rock loss to China in the semi-final of the Paralympic medal round in wheelchair curling. But, following the game that’s not the emotion he showed. Canada sat two in the four-foot before Wang delivered his last rock. The margin for error was slim, but his stone tapped the other just right to score a point for the win. Another big moment came an end earlier, when Ideson couldn’t get his wheelchair out of the way as rocks were flying out of the house. A Chinese rock spinning out of the house hit his chair, and Wang immediately shoved it back into play, closer to the middle of the house than where the infraction occurred. A lengthy discussion ensued, involving two officials, video replay, and finally a ruling that the rock would remain in the house, but hang off the backline. Canadian fans weren’t happy about the situation, as the video replays showed that the rock was certainly headed out of the house. 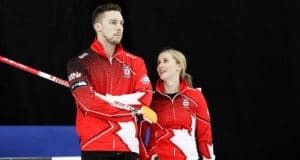 Ideson, with teammates Ina Forrest, Dennis Thiessen, and Maria Wright, did their best to shake off the questionable display of etiquette, and were able to recover forcing a blank end after all the drama was settled. With the win, China moves on the the gold medal game vs. Norway, with at least a silver guaranteed. Canada, meanwhile will have to fight for some hardware in the bronze medal game vs. South Korea. Ideson didn’t seem to concerned with shaking off the loss. The bronze medal game will take place Saturday at 9:35 am Local (8:35 pm EST – Friday) and be available for streaming on www.cbcsports.ca. 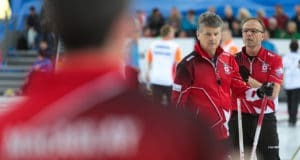 Next: 2018 Travelers Curling Club Championship headed to Miramichi, N.B.